Camping in the Shropshire Hills has an appeal that’s hard to deny. This land of rolling hills, woods and rivers on the border with Wales is a designated Area of Outstanding Natural Beauty. Pitch your tent here and you’ll soon see why. You’ll be camping in the most beautiful part of a county that’s less populated than anywhere else in the country. Unsurprisingly, it was tucked among these hills that we found some of the best camping and glamping sites in Shropshire too. 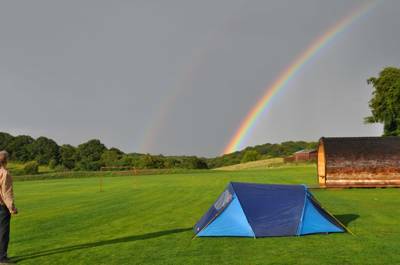 We think the best campsites in the Shropshire Hills are ones that make the most of their outstanding setting. 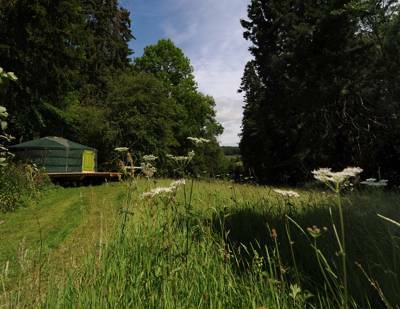 We’ve found camping and glamping sites across this Area of Outstanding Natural Beauty that do just that, and have brought them together in our hand-picked collection. 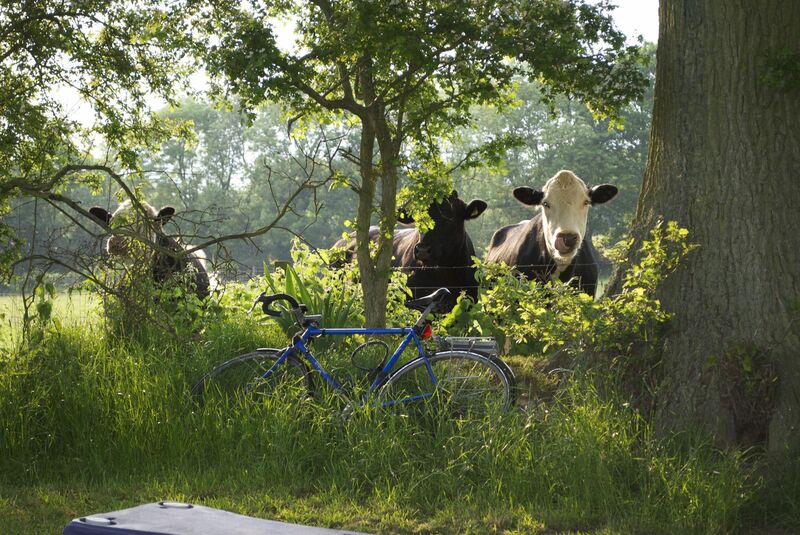 There are campsites which offer pitches in open meadows, places where you can park a campervan next to a stream and glamping sites with luxury accommodation on farms – and quite a lot in between too. It’s not just camping and glamping sites that are tucked among the rolling hills of this southern part of Shropshire either. There are historic sites and picturesque villages with names that beg to be explored: The Bog, New Invention and Picklescott among them. There are market towns with farm-fresh produce offering a real taste of country life and then there’s the hills themselves. The Wrekin, Long Mynd and Stiperstones are just some of the peaks that offer great walking, cycling and incredible views. If you’re heading for The Hills to walk, cycle or explore outdoors, classic camping offers the perfect way to holiday. It lets you stay outside in the fresh air for longer and immerses you in the scenery that this part of the world is famous for. Campsites, especially the more basic ones, are often permitted where other development is not so camping can put you at the heart of the places you want to explore. We’ve found campsites in the shadow of grand country houses, on the edge of streams and at the foot of some of the best-known hills in the area. Most of them are within easy reach of walking and cycling routes. Camping is not only good for you, but it’s good for the environment too. Camp responsibly and it’s a greener way to stay. It has less impact on the environment and, because it is usually great value, less impact on your wallet too. We know that every camper is different so we’ve sought out a range of different campsites. We include everything from back-to-basics, tents-only sites to places where people with campervans and motorhomes can park up for the night. The thing they all have in common is that they have all had the thumbs-up from our travel and camping experts. They usually only stamp their approval on sites which offer something special; whether it’s an incredible view, a special location or a super-friendly host. Sometimes it’s all three! We tend to find these things in smaller sites which are independently owned and run. Thankfully, there are plenty of these sort of places within the Shropshire Hills. 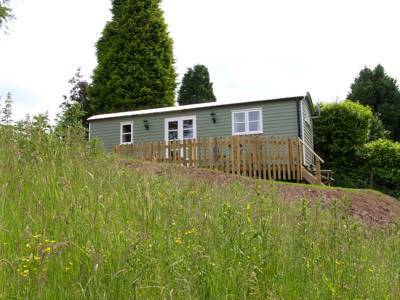 Our camping experts are no less picky when it comes to glamping sites in the Shropshire Hills – and there are plenty of these too. 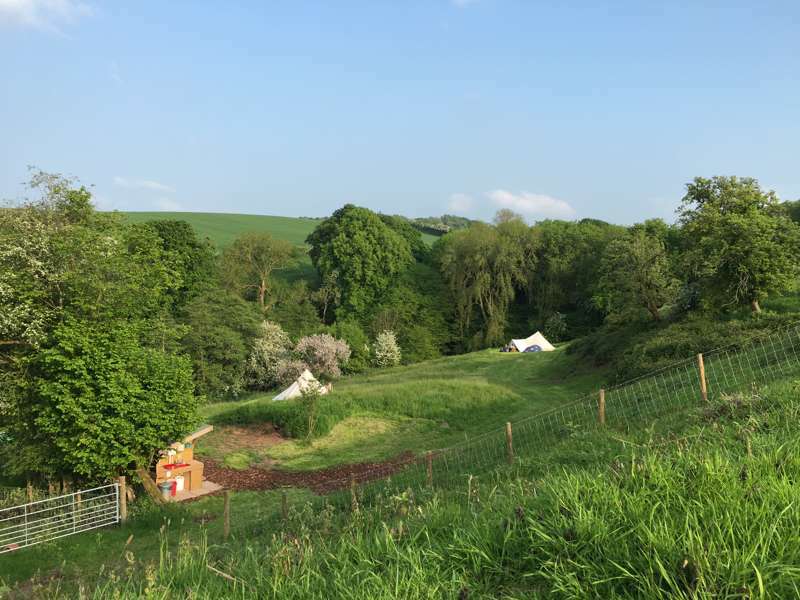 Bell tents, tipis, yurts, safari tents and shepherd’s huts are among the glamping accommodation you can book for luxury camping stays in the Shropshire Hills. Staying this way offers an easy way to camp as you don’t need to pack the car to the roof rack and you don’t need to pitch your own tent. You can simply drive to your glamping site and settle in. You’ll be relaxing by the campfire in less time than it takes to pitch a tent. For first-time campers and families with young children, glamping offers an easy introduction to camping. You don’t need to invest in the gear and your holiday set-up will be easier. Even seasoned campers might enjoy a holiday in a shepherd’s hut or other glamping accommodation with a few luxurious touches once in a while. You get to enjoy the freedom of camping and the great outdoors but without the hassle. For weekend stays, it gives you more time to relax and explore and it can also extend the camping season as glamping accommodation tends to be warmer than a canvas cover. Located on the edge of the West Midlands, butting up to the Welsh border, the Shropshire Hills are a part of the country that’s accessible for many. For families in Birmingham, Stoke, Worcester and the rest of Shropshire, the Hills are within an easy driving distance. For people in these areas, the short journey in to beautiful countryside is reason enough to call the Shropshire Hills a family-friendly camping location but there’s lots more to recommend the area too. For starters, the hills form a link between the Midlands and the Welsh Mountains. While there are soaring peaks in Wales, the Shropshire Hills are more manageable for little legs. Brown Clee is the highest point in Shropshire. At 540 metres it’s not to be scoffed at and can be a significant challenge, but it’s certainly achievable – and there’s plenty more family-friendly walking for all ages and fitness levels. Family-friendly attractions like the living museum at Ironbridge Gorge and the Severn Valley Railway are another reason to visit. Wherever you choose to pitch your tent, camping in general is usually a big hit with the kids. Even if you stay on site for the duration of your holiday, your kids can have a great time. Camping offers the opportunity to play outdoors all day long, the novelty of eating and sleeping under the stars and the excitement of toasting marshmallows on the campfire. Choose a particularly family-friendly site, one with kids activities or equipment, and your children might find some little playmates too. Of course there’s always one problem when you’re camping with kids… trying to get them in the car to go home again at the end! If you’re camping without kids, the Shropshire Hills are an equally attractive prospect. Quiet and rural it’s a great place for a peaceful adults-only getaway whether you are heading out with friends on a walking holiday, looking for a romantic break or going solo. Take a look at our adults only camping and glamping sites if you want somewhere that’s just for grown-ups. The Hills are a great place to explore without kids in tow as some of the highlights are best explored slowly. You can, for example, plan long walks through rolling countryside and even longer lunches in country inns. There are also historic sites like the Ironbridge Gorge and Stokesay Castle where you can enjoy longer visits without little ones. The peace and quiet of the Shropshire Hills is intensified outside of the school holidays. If you’re looking for an adults-only break with privacy and seclusion, you might want to try booking your break for term-time. 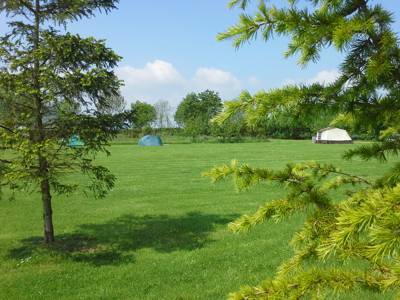 Campsites can be particularly quiet mid-week – and there are often great deals available too. The Shropshire Hills were designated as an Area of Outstanding Natural Beauty way back in 1958. The protected area covers 300 square miles and a quarter of the whole county. It was one of the first of Britain’s 46 AONBs and the designation recognises it as one of the finest landscapes in Britain. Its conservation and enhancement are considered so important as to be in the national interest. It also means it is one of the finest places to go camping in the country. It offers unspoilt landscapes that are, thankfully, protected and activities like camping are considered low-impact ways of helping the economy. But just what is it about the Shropshire Hills that makes it worthy of all this praise? The answer is not a simple one as it is actually diversity that makes the place so special. The hills are not a single range but instead showcase a variety of geology that links the plains of the Midlands to the mountains of Wales. There are rocky outcrops, quarried landscapes and volcanic mounds. There’s heather moorland, grassy commons and wooded slopes. All this variety inevitably means varied and valuable habitats too. In the lowlands, it's the clear-running rivers and human activity which has shaped the landscape. The Shropshire Hills remain largely rural so there are plenty of fields and farmland but there are also reminders of past generations in the area’s iron age hill forts, medieval castles and ancient earthworks. However you plan to explore, the Shropshire Hills Discovery Centre in Craven Arms is a good place to find out more about all aspects of the area. Perhaps the best-known of the Shropshire Hills is The Wrekin. This stand-alone summit is just five miles from Telford and a popular place for walkers. At 407 metres high, it stands out in an otherwise flat landscape and offers far-reaching views. In fact, it’s said that it’s possible to see 17 counties from the top! Another popular part of the Shropshire Hills is The Long Mynd; it’s an upland area or plateau rather than a definable hill. It stands above the Shropshire Hills AONB’s only town, Church Stretton, which was a popular health resort in Victorian times. Walks across the plateau are through heather moorland with rocky outcrops. And if you don’t fancy a long walk, there’s a National Trust-run shuttle bus from the village at weekends and Bank Holidays in the summer. Stiperstones is a rocky arm off to the west of the Long Mynd and is also covered in heather in the late summer. It’s a national nature reserve and a valuable habitat for heathland flora and fauna with some distinctive rock formations that are the subject of myth and legend. For more on the hills, check out the 50 hills identified by the AONB’s website. If you’re camping in the Shropshire Hills for the walking, you’ll be spoilt for choice. Grab an Ordnance Survey map, pick a peak, plot your route and off you go. The Wrekin, The Long Mynd Plateau and Stiperstones (all outlined above) are popular places to walk – but there are plenty more lesser-known hills where you’ll barely see a soul during your day’s stroll. The long-distance Wild Edric’s Way is 49-mile route, largely through the Shropshire Hills, named after a Saxon nobleman. It follows part of another long-distance route, the Shropshire Way. At 200 miles, the Shropshire Way is a serious undertaking and stretches far beyond the boundaries of the AONB, right across the county, but it is described in stages which make excellent day-long walks. Shropshire’s western edge is also the border between England and Wales. The 8th century earthwork, Offa’s Dyke, and the 20th-century national trail, Offa’s Dyke Path, that follows it, stretch 177 miles along the border. Inevitably, a section of the national trail falls within the Shropshire Hills AONB. It’s one of three AONBs that the path winds through with the Brecon Beacons National Park also on the trail. A visit to Ironbridge Gorge is a must for most visitors to Shropshire. The gorge and town are, of course, named for a bridge that spans the River Severn; the world’s first iron bridge. It is a symbol of development in both architecture and technology, and is said to have sparked the industrial revolution. The bridge and the gorge are recognised as a UNESCO World Heritage Site. Despite this industrial heritage, there are no cities in Shropshire – except Wroxeter Roman City, which is now only a city in name. The remains of this once-important settlement are looked after by English Heritage and another popular attraction. Outside the large modern town of Telford, Shropshire offers historic market towns and villages which are great places to visit on a camping or glamping holiday in the Shropshire Hills. Pay a visit to the market town of Shrewsbury to see pretty medieval buildings and a maze of alleyways or explore Ludlow with its Georgian buildings and 11th-century castle. Shropshire Hills camping, camping in the Shropshire Hills at Campsites in the Shropshire Hills, Need some helping picking a campsite? If scenic camping’s your thing, look no further than our collection of campsites in the Shropshire Hills. Remote campsites, family-friendly sites, glamping spots and tent pitches, we’ve got a plethora of camping options.